Eager as always to compete in the realm of digital content, Amazon today opened a Mac Download Store that will compete with the Mac App Store. Like Apple’s solution, this new storefront streamlines the process of downloading and installing software so that users must take minimal action once they’ve purchased software. The new section of Amazon’s website lists a wide variety of productivity software and games. 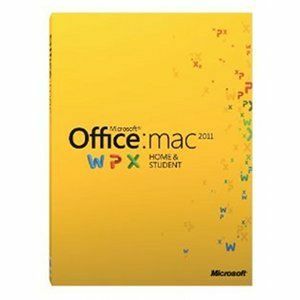 There are a total of 252 products available as of the store’s launch including Office For Mac and QuickBooks, two popular titles that are not available on the Mac App Store. Unlike the App Store, the Mac Download Store does not place restrictions on developers, which means that software rejected there can still be sold on Amazon’s website. Amazon is deploying the new store with its favorite tactic – undercutting the competition’s pricing. Most of the titles on the Download Store are less expensive than those found on the App Store, sometimes by a large margin. Borderlands, a popular action game, is $49.99 on the App Store but $36.92 on Amazon. Another example is the classic shooter Call of Duty 4, which is $39.99 on the App Store but $24.95 on Amazon. This is not including the $5 promotional discount that will be available until June 1st. As a side note, Amazon’s decision to call the new service a “Download Store” rather than a “App Store” is significant. Apple has previously stated that “App Store” is trademarked, so it seems the legal threats from Cupertino have not fallen on deaf ears. Using the term in this case would be particularly risky, as unlike the Android App Store, this is a direct competitor to Apple.